Along with Connor and Keri McNulty we announce the 2nd Annual Jase Connor McNulty Junior Angler Award at the 2017 Virginia Beach Tuna Tournament. 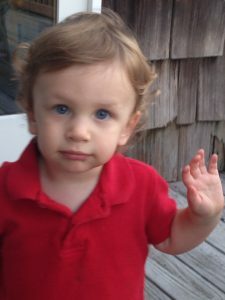 The McNulty’s son passed away unexpectedly in December of 2014 three months shy of what would have been his 2nd birthday. Although small, he was mighty: leaving a great impression on those who knew him. His exuberant smile and bright blue eyes lit up a room. Jase loved the outdoors and other kids which is why the McNulty family feels this award is perfect to honor his memory. The award will be presented to the angler seventeen years of age and younger. The junior angler with the biggest fish of any species including dolphin and wahoo will be awarded the prize.